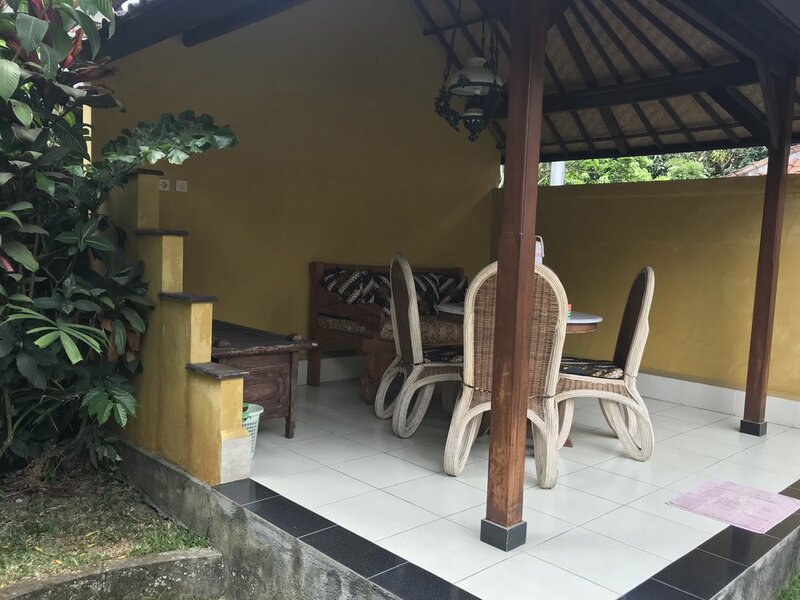 The Green House is one of the original houses at Bali Breeze and is great value for up to 4 people. The Green House has one queen bedroom upstairs with air conditioning. 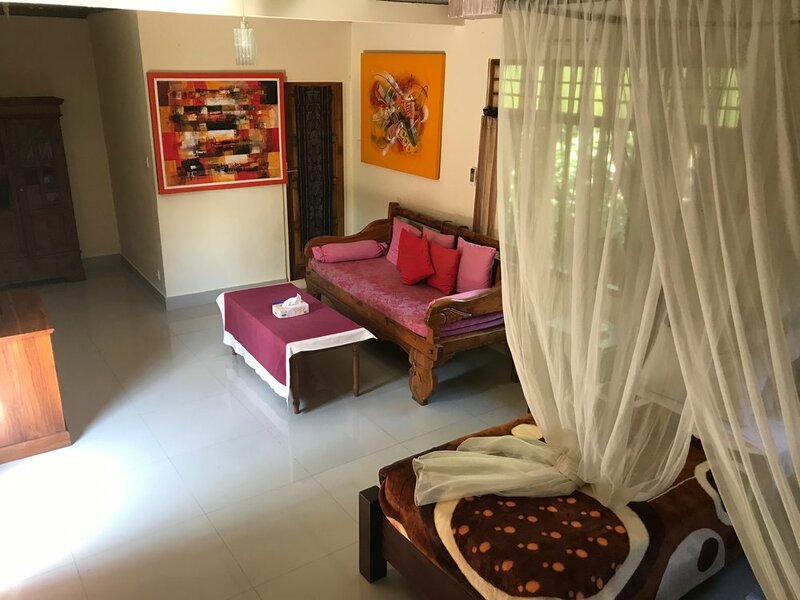 Ground floor living area has air conditioning, two single beds, a kitchenette with a full size refrigerator and a walled bathroom. All rates include are all inclusive of egg & fruit breakfast, staff tips and taxes. Upon booking you will receive a detailed email confirmation. There are no credit card facilities at Bali Breeze, cash only. Ketut accepts Australian Dollars, US Dollars, GBP, Euro and Indonesian Rupiah.